The second release of Jaya’s Meditation Series. DIGITAL DOWNLOAD VERSION. More details below. 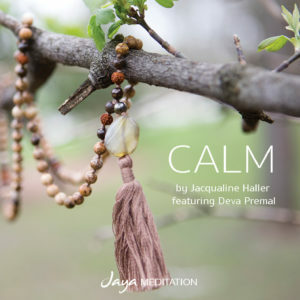 This is the second recording to be released in Jacqualine’s (Jaya’s) Meditation Series. The series is a collection of her meditation classes over the last 4 years. **NOTE: DIGITAL VERSION for immediate download. The file is mp3 format and rather large. It should be downloaded to a computer and synced to portable devices from there. The first release of Jaya’s Meditation Series. DIGITAL DOWNLOAD VERSION. More details below. The third release of Jaya’s Meditation Series. DIGITAL DOWNLOAD VERSION. More details below.